Negative sensory overload. Now star-crossed lovers. UPDATE 3/27/18: Rewriting the Guinness Book of World Records for shameless hypocrisy, the ugliest anti-capitalist Capitalist joins forces with two of his most money-grubbing fellow socialists to solve the problem of “Income Inequality.” While, of course, giving up nary a penny of their own multi-millions. 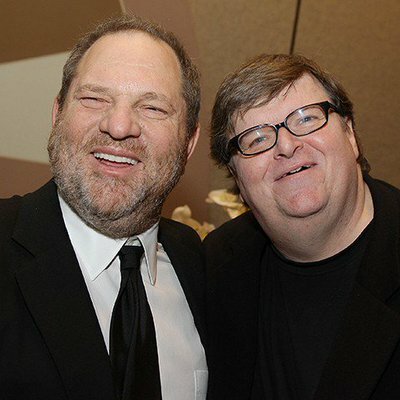 UPDATE 10/24/17: Add to MM’s many attainments membership in 4H: Harvey’s Hateful Hollywood Hypocrites! 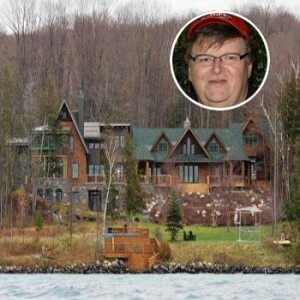 Who ya thunk bankrolled that love letter to the glories of medicina Cubana (and ObamaCare), “Sicko!”? 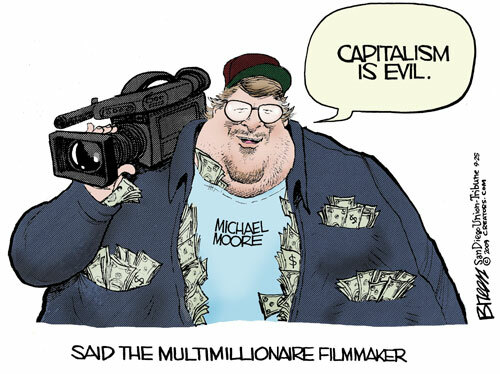 The Ultimate Limousine Liberal, the quintessential Marxist Capitalist. Fraud, hypocrite, liar, demagogue, the boy next door. 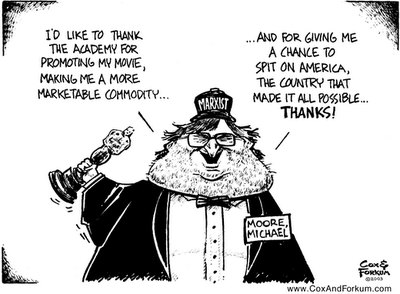 Documentarian/critic of American excess and greed who lives modestly. Recently let go for a very proletarian mid-7 figures. Blue-collar union champion of the Little Guy, well-known for bilking his employees and treating them like wage slaves. 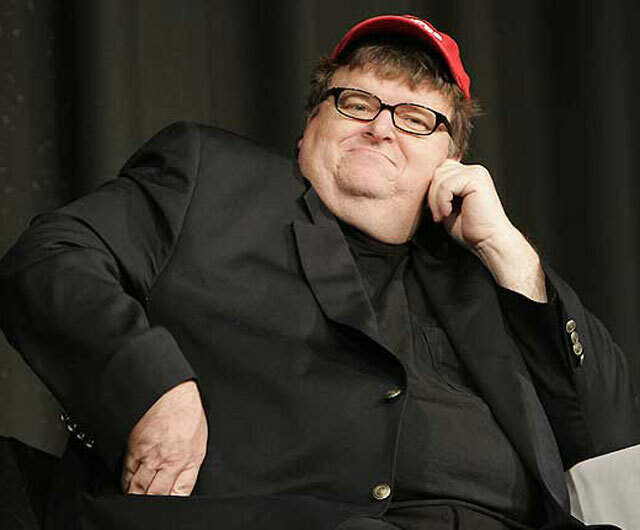 Anti-gun propagandist/profiteer who feels he’s entitled to armed protection for himself. 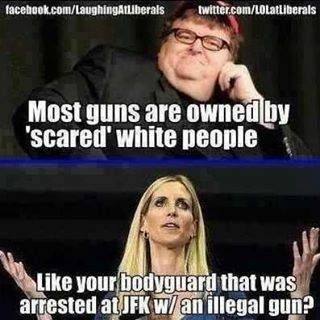 Guns for me, nada for thee. Shoulder to shoulder with the 99% against the 1% (excluding himself of course). 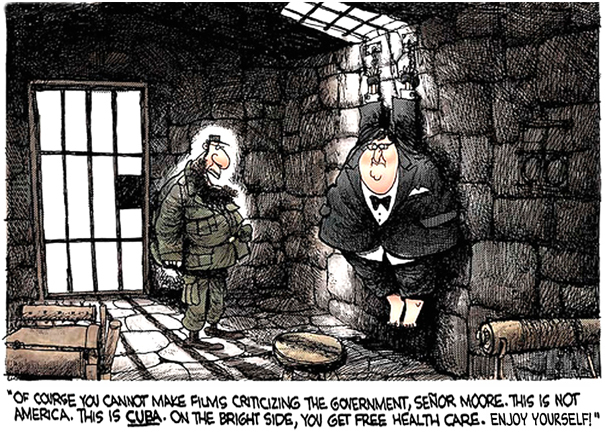 Michael Moore’s vastly superior Cuban medical system.